When should I buy a Peter Horobin? My Horse is only young and still growing. It is very important to have a saddle made when you start riding your horse. It is like when a child needs a pair of shoes, at their most important time of development purchasing a custom made saddle will only enhance the the correct growth of muscle development . 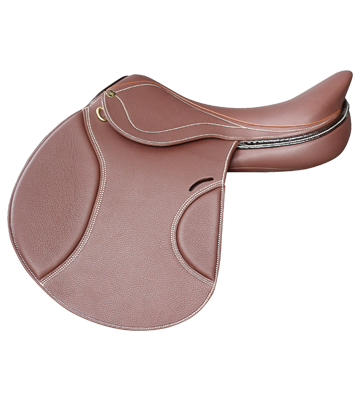 As the saddles are fully adjustable they can be altered conveniently on site as the horse changes shape. The great thing about second hand Peter Horobin saddles, is that they hold their value. We have customers who have purchased a Peter Horobin saddle and have sold it pre-loved for the same price 10 years later. 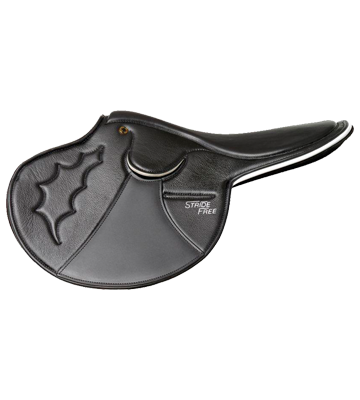 If taken care of, PH saddles are manufactured to last many years. It is also our sustainability mission to provide you with the opportunity to purchase a Peter Horobin second hand to reduce carbon footprint and environmental impact. All Peter Horobin saddles can be adjusted in the gullet and re-flocked very easily. Of course, we like to encourage a new sale, however, if budget is something of a priority for you, then we are honoured for you to buy second hand and we will service your saddle with the same integrity as a new PH. How do I know if my current saddle fits? Take a few minutes to fill out our saddle fitting form. We can assess ALL brands of saddles. 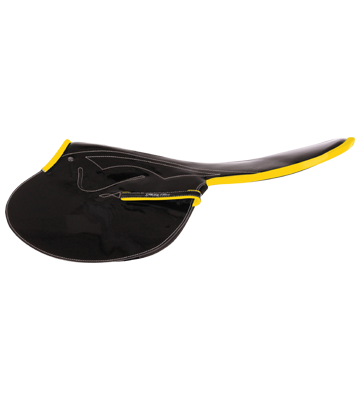 Complimentary to all those who own a Peter Horobin or, alternatively, $49.95 for any other brand of saddle. It is a great way to see whether your saddle is fitting correctly. We will provide you with options within a 24 hour turnaround. Alternatively, call us on +61 359751055 or email saddlery@horobin.com.au to book an appointment for an on site saddle fit. If located outside Australia discover a PH representative in your area. I am unsure about an online saddle fitting. How can you tell if my saddle fits by just looking at it? This is a good question! Lets just say that Peter and the team have an articulate eye for saddle fit. 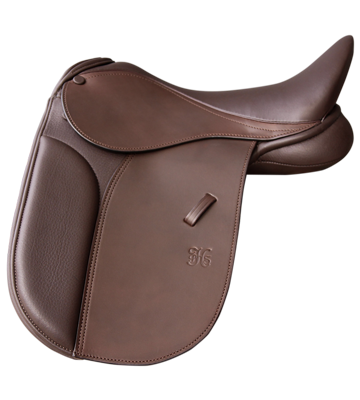 With many years of experience with all brands of saddles, we have the knowledge to assess saddles via photographs. If you would like an on site fitting, please give us a call on +61 359751055 or email saddlery@horobin.com.au to book an appointment for an on site saddle fit. Are Peter Horobin Saddles adjustable in the gullet? Yes. Peter Horobin saddles are incredibly adaptable to your horse. This can all be done conveniently on site. From channel widening, girth point alignment, gullet changes and flocking changes. What are the benefits of a wool flocked panel? Wool flocked panels are incredibly beneficial for the horse's back. We use top quality wool, sourced sustainably from a customer's farm in Austria (for our saddles sold in Europe) and Australian & New Zealand wool for all of our saddles sold worldwide. Why buy a Peter Horobin saddle? Peter Horobin Saddlery is an Australian owned company based on the Mornington Peninsula. If you browse our site, you will discover more about us, what our goals, values and the benefits Peter Horobin saddles will have for the horses. You will also discover our drive to implement sustainable practices and how easy it is to order a Peter Horobin. How long do I have to wait for a Peter Horobin saddle? The wait for a Peter Horobin saddle can be anywhere from immediate delivery, a tailor made experience, (6-8 weeks) to the complete bespoke package, (12 weeks). If a PH Representative has a saddle in stock, due to the technology, they can be adjusted on site for you to take home and ride that very day. 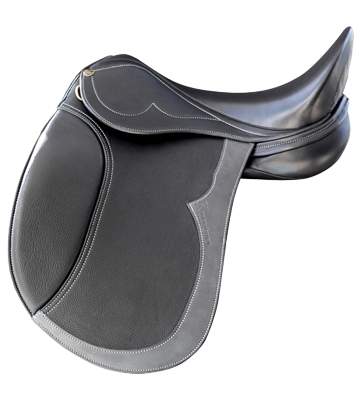 Are you are rider who needs a shorter saddle flap or perhaps shorter panels to suit your horse? 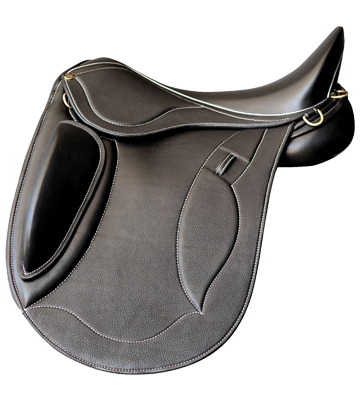 Custom made would be the perfect option to ensure that you have a saddle to suit you. After you have chosen the Peter Horobin saddle for you, we can make to measure the perfect saddle required for a happy horse and a happy rider. Those of you looking to purchase something made with brilliant design tailored specifically to your aesthetic vision, then 8-12 weeks is your waiting period. Your patience will be truly rewarded, however, with something crafted with your measurements and the horse’s in mind, as well as the colour of stitching and piping too. So what do these processes mean- "Why do I have to wait? "...I hear you ask. Well, at PHS, the period of time in between ordering a saddle and finally taking it home is special and can only be described as a secret luxury for the customer. There is an intriguingly secret art to waiting for things. Another world- a whole other world of waiting for special things to come into our lives, which enriches us and improves us in one way or another. It begins when we understand exactly what it is we are waiting for - the importance of the object, for example, to us and to our needs. Consider the time, the effort, the craftsmanship that it takes to make your special request. By waiting, you can expect to feel excitement, anticipation, nerves. Your investment takes time so that it is perfect and right for you and your horse. By rushing, as all of us tend to do every day in just about every other aspect of our lives, we run the risk of not enjoying or appreciating the piece of art that will soon sit upon our horse. So invoke the secret art of waiting. Enjoy the time it takes. Do not worry or panic that it is not there faster. Revel in the fact that what is coming to you is for you - just for you and no one else. There may be several other saddles of the same ‘model’ out there - but none quite like yours. Think about the process of saddle making and know that someone, somewhere, is taking considered time and effort to create a masterpiece crafted from the finest leathers that will fit your horse like a glove and provide a close partnership between you and your horse. How is my horse measured for a new saddle? Option 1: Onsite saddle fit. Discover our PH Representatives. Option 2: In Australia we have remote saddle fitting kits which are now easier and more convenient. We have easy step by step instructions with everything you need to take simple measurements of your horse. With a self-addressed express post bag, everything is convenient to suit your busy lifestyle. Of course! 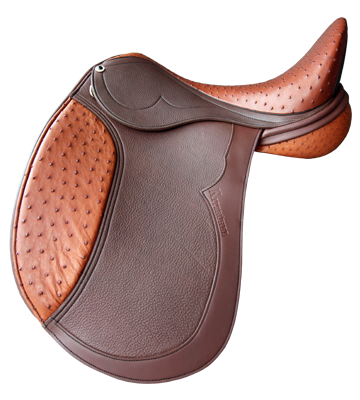 We can put your saddle on layby for up to 8 weeks from time of deposit. Once a 50% deposit is paid, then there is no payment needed until completion. Give us a call on (03) 59751055 to discuss your options. In relation to international saddle orders, different policies apply. Can you purchase a Peter Horobin Saddle outside Australia? Can I buy a StrideFree® race saddle online? If you purchased a StrideFree® race saddle online and you would like to discuss colours, call (03) 59751055 to speak to one of our team members. I live outside of Australia. How can I purchase StrideFree®? What sort of warranty do I have with my Peter Horobin Saddle? 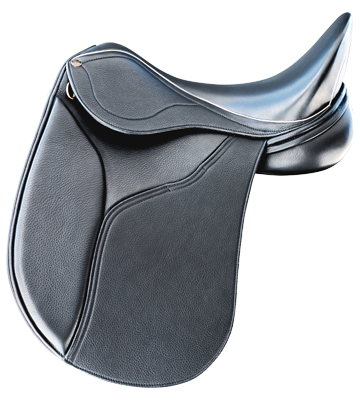 Once you have received your equestrian saddle please fill in the warranty registration here. If you have purchased a race saddle you can fill our your warranty registration here . What am I signing up for when I sign up to the database?